Jalandhar: BSc 1st year student of Lovely Professional University, Manju Rani has been knocking her way to qualify for ‘Olympic Games’ through her determined wins and fierce punches. 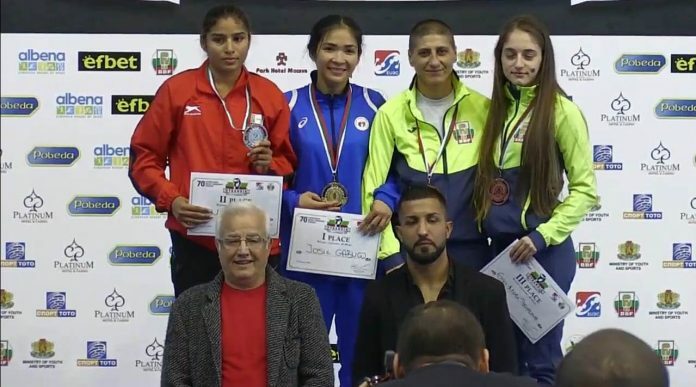 Recently, in her first ever overseas boxing competition, Manju has paved her way to the International Podium by grabbing ‘Silver Medal’ in 48kg weight category. Occasion was the oldest ‘Strandja Memorial Cup’- an international amateur boxing tournament held annually in Europe (Bulgaria). During its last season, Queen-boxer of the country Mary Kom did also claim the second position for this weight category. In this tournament, around 350 competitors from 42 countries participated, which included a number of Olympic and World champions. 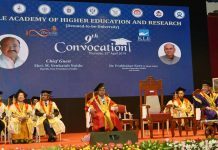 LPU Chancellor Mr Ashok Mittal congratulated the promising student of the university and inspired her to keep on bringing more and more laurels to the nation by targeting an Olympic win. Exceeding her own expectations, Manju bagged second position after losing the final only by a single penalty against 2012 world championship gold medallist Josie Gabuco of Philippines. This tournament often determines who will qualify to compete at the upcoming summer Olympic Games. Prior to this, Manju has also won national ‘Gold Medal’ at 3rd Elite Women’s National Boxing Championships held in Karnataka. Manju is studying at LPU on 100% scholarship including full fee concession, free accommodation, foods, and books. Being thankful to LPU management for enabling her to pursue her passion, education and for making life easy; Manju has shared from Bulgaria: “It was a good final between Josie and me and I had a sure chance. However, I got a penalty for punching after the referee had asked to stop and then I couldn’t make a comeback.” She also shares: “Now that I have made my international debut, I now want to win as many medals for the country as I can. After this, the first challenge for me now is the Asian Championship trials. I also dream of walking on the footsteps of my idol Mary Kom to make it to the Olympics one day.” Noteworthy, fatherless since her childhood, Manju was picked for the national camp after winning the senior nationals gold medal in her very first appearance. She knows that being at LPU it is a good start, and now she further wants to convince selectors about her abilities through her more exquisite performances.